First base seems an ideal spot for big-bat fan-favorites. 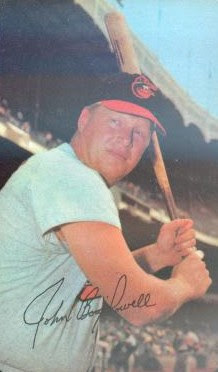 Today’s guest shared the goal of most men with biceps like F-16s: swing hard. Do it early. Do it often. 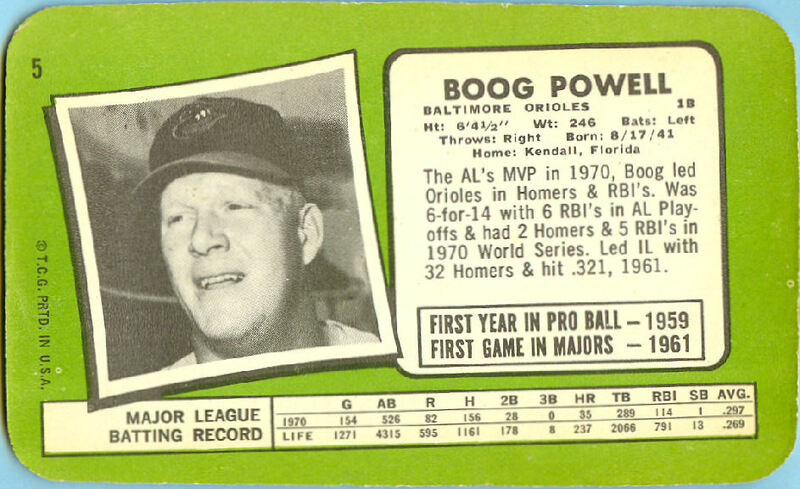 Over a 17-year career--mostly as an Oriole--Boog hit 339 homers with a career 134 OPS+. 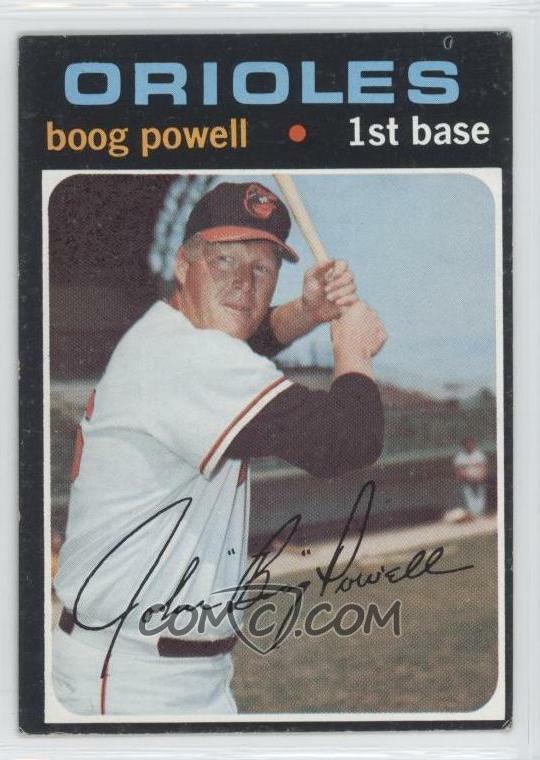 This card pictures him a year after winning the 1970 AL MVP; he also finished in the top 3 twice. For the third year in a row, Topps distributed a "Supers" test issue in limited numbers across the country. Initially conceived as a regular-sized, high-quality set in 1969 (set profile), they grew in size for 1970 (set profile), and made their swan song in 1971 (gallery and checklist). Can't get enough of the birds? 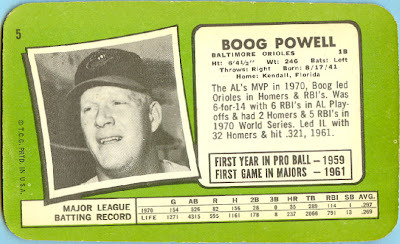 See Orioles Card O the Day for another 1971 Super profile, #18 Dave McNally.